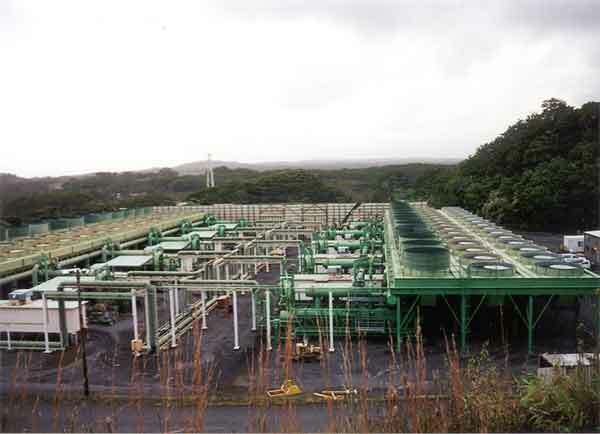 This geothermal power plant provides Hilo, Hawaii with a substantial amount of its base load of power. The plant takes energy from heated waters deep within the earth and converts it to usable energy. When managed properly, geothermal heat is a renewable resource that can power the base load of cities such as Hilo in an efficient and enviromentally sound way.